Our Certified Installers Program is all about connection. We connect our engine buyers to you for the professional install and service of their new S&J remanufactured engines and we connect you with new customers and a spotlight for your business. We put you on the map, literally. Your shop will be showcased on our locator map: customers know exactly where and how to find you and your superior service. You are our go-to. 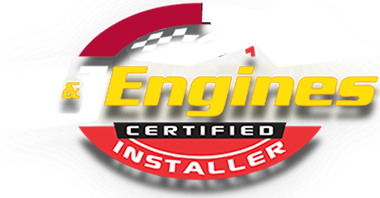 Certified Installers are the first place we send our customers seeking local assistance with their automotive, Truck/SUV and marine needs. Making you look even better. Promote your business with our media kits geared for bolstering your credibility, reputation and sales online and onsite! Your registration status and listing quote will be sent to you promptly. Behavior not untoward or damaging to the reputation of S&J Engines, Inc.
Applicant’s business must be a legal entity and in operation. Applicant’s business must be in good standing. Applicant agrees to the Terms & Conditions set forth. Terms & Conditions subject to change without prior notice by S&J Engines, Inc.